More than 450 voters did not have their ballots counted in the state’s May primary as a result of the country’s harshest voting law. Craig Thomas of Granville County, North Carolina, registered to vote before he deployed to Afghanistan with the US Army. After serving abroad for eighteen months, he went to vote early in the state’s primary on April 30. He returned from Afghanistan to the same house, in the same precinct, but was told at the polls that there was “no record of registration” for him. In the past, Thomas could’ve re-registered during the early voting period and cast a regular ballot under the state’s same-day registration system. 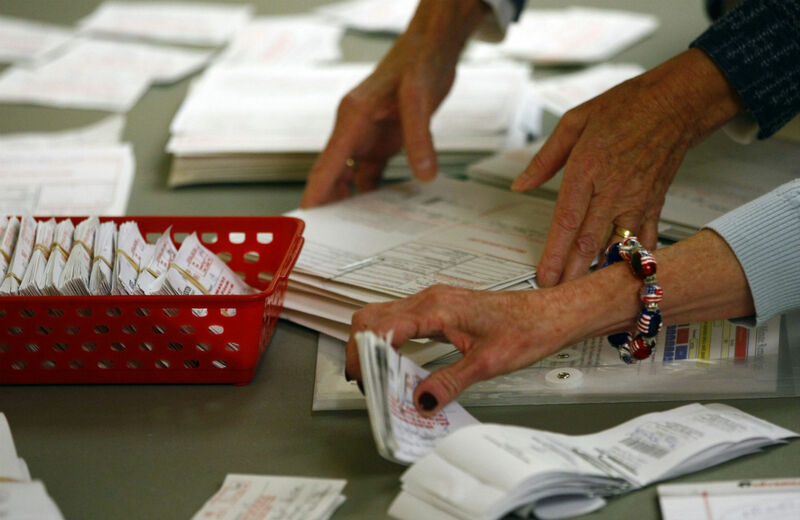 But same-day registration was one of the key electoral reforms eliminated by the North Carolina legislature last year when it passed the nation’s most onerous package of voting restrictions. In 2014, Thomas had to cast a provisional ballot, which was not counted. After fighting abroad, he was disenfranchised at home. Voters denied a chance to have their voices heard include a veteran returning from Afghanistan whose registration was incorrectly terminated while he was away; a first-time voter who registered at the DMV, but that registration didn’t reach the local board of elections; a precinct judge assigned to a precinct other than her own who couldn’t leave to vote in her home precinct; a disabled senior who was driven to a friend’s polling place on Election Day; a nurse who temporarily registered her car in a nearby county while working at its hospital for nine months; a college student who registered during a voter drive but her application was not recorded; and a new couple in town who mailed in their registration but it did not reach the county board of elections before the registration deadline. The problems in the primary are a disturbing preview of what’s to come. “These 454 voters are obviously just the tip of the iceberg of the thousands who faced the same problems when they went to vote in the primary and who simply left the polling place without taking the time to fill out the paperwork and file a provisional ballot,” Democracy NC notes. Voter turnout will be much higher in the general election than in the primary, so many more voters will be burdened by the new rules. North Carolina has one of the closest Senate races in the country between Democrat Kay Hagan and Republican Thom Tillis, which could very well decide control of the Senate. Craig Thomas and the hundreds of voters whose ballots were not counted would likely disagree with Schroeder’s definition of irreparable harm. An expedited appeal to block the new restrictions before the midterms will be heard by the Fourth Circuit Court of Appeals in Charlotte on September 25.